Under the visionary leadership of Dr Lien Ying Chow, The Ngee Ann Kongsi set up Ngee Ann College in Teochew Building in 1963. After Singapore gained independence in 1965, the educational priority during the early phase of our economic development was on technical studies and skills. 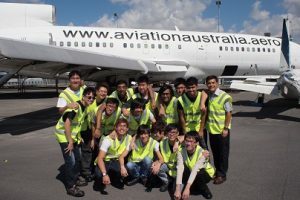 At this, Ngee Ann College advocated technical education. In 1968, the college underwent a series of transitions. Firstly, The Ngee Ann Kongsi transferred its management to the college. 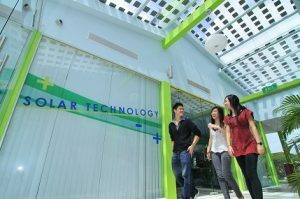 The institution was then renamed Ngee Ann Technical College; the new name also marked the change of the college’s status from a private to a public institution. The 19th president of The Ngee Ann Kongsi, Mr Teo Soo Chuan, handed over the title deeds to the land on which its Clementi campus stood, as well as relevant legal documents to the college. With its expanded school grounds, the technical college was able to offer more courses and better facilities and equipment. To reinforce and reflect its expanded curriculums and purposes, the technical college assumed its current name, Ngee Ann Polytechnic. It is the second oldest polytechnic in Singapore. Through the years, The Ngee Ann Kongsi maintained close ties with the institution. From 1972 to 2006, The Ngee Ann Kongsi donated 75% of its annual revenue to the polytechnic each year. Following the amendment to The Ngee Ann Kongsi (Incorporation) Ordinance passed in July 2007, The Ngee Ann Kongsi contributes 25% of its revenues now. The Ngee Ann Kongsi endowed the ‘Ngee Ann Kongsi Gold Medal Award’ to reward the polytechnic’s most outstanding graduate each year. The award comprises S$10,000 cash and a bond-free scholarship to pursue undergraduate studies at local or overseas university of choice. This is one of the many contributions that The Ngee Ann Kongsi commits to the education landscape of Singapore.